Get the CC Mobile App now! 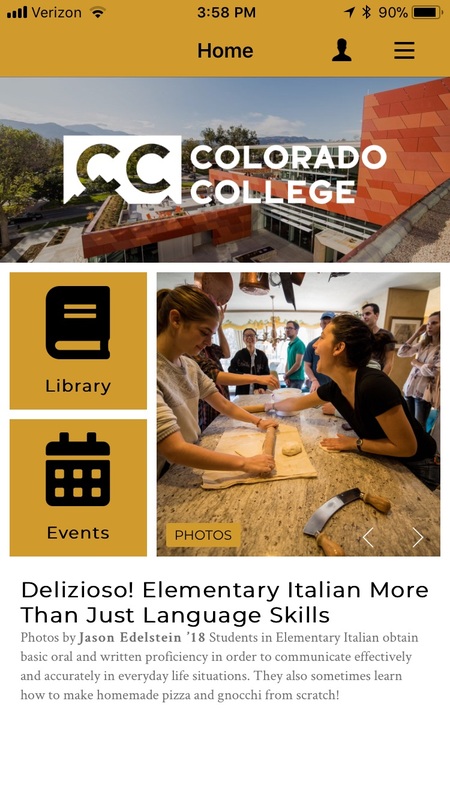 Download the “Colorado College” app for on the iOS App and Google Play stores. Walking across campus for lunch and want to know what’s on the Rastall menu? Heading to a building you’ve never visited and aren’t sure how to get there? Our new mobile app brings CC news, dining menus, athletic events, and campus maps to your fingertips. Now you have convenient access to important CC info wherever you are, whenever you need it. Stay tuned as the app grows over the coming blocks! Is there something you’d like to see on your CC app? Send requests and ideas to: ccmobileapp@coloradocollege.edu.